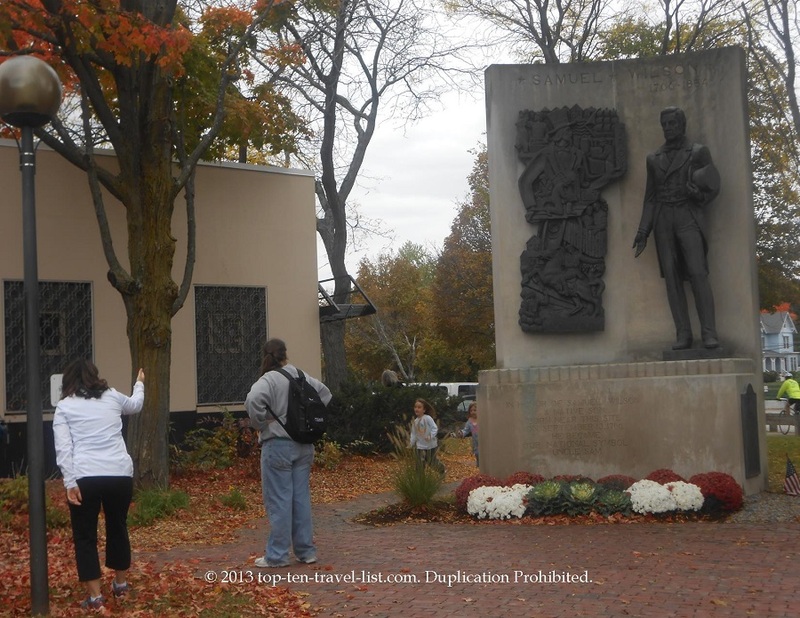 Minuteman Bike Path: The Perfect New England Fall Ride - Top Ten Travel Blog | Our experiences traveling throughout the US. 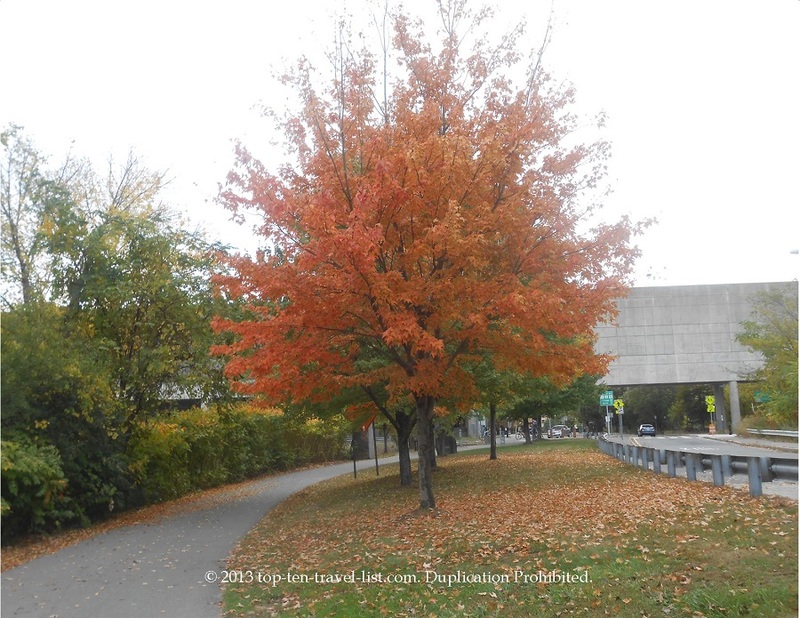 What better way to take in the beauty of the Massachusetts fall season than biking along Boston’s scenic, tree-lined Minuteman Bike Path. 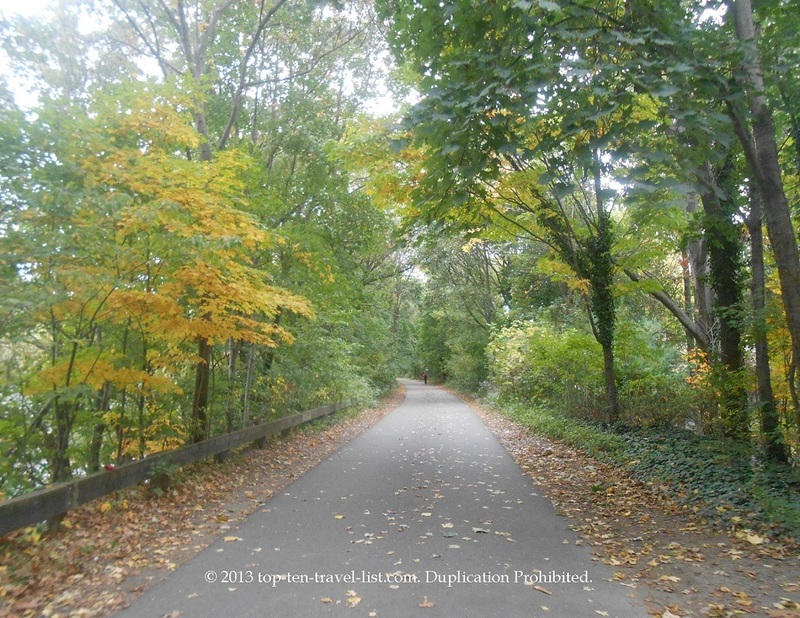 This scenic 10.5 mile paved path passes through 4 different beautiful cities, all known for their spectacular fall foliage. 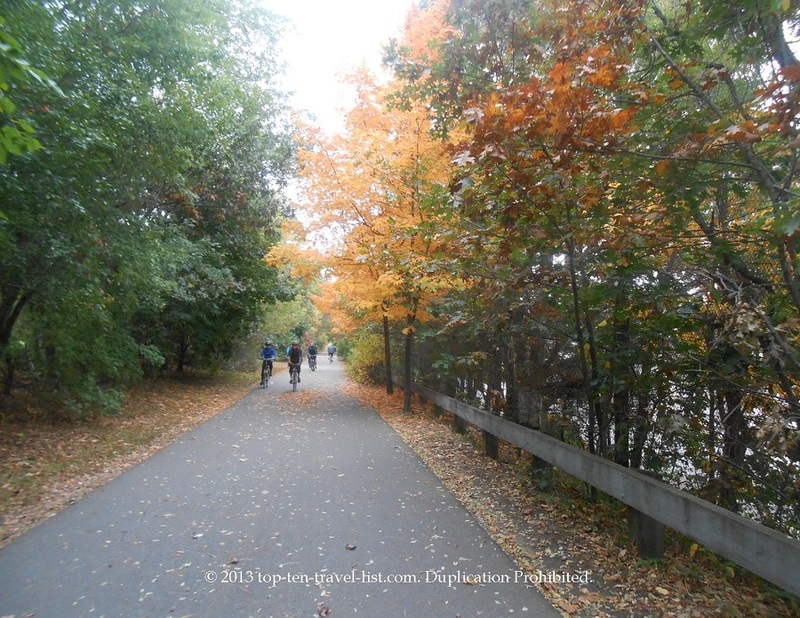 The path, which runs along the route of a former railroad, starts at Bedford and ends at Cambridge (those wishing to continue on can connect to the Charles River trail in Cambridge). 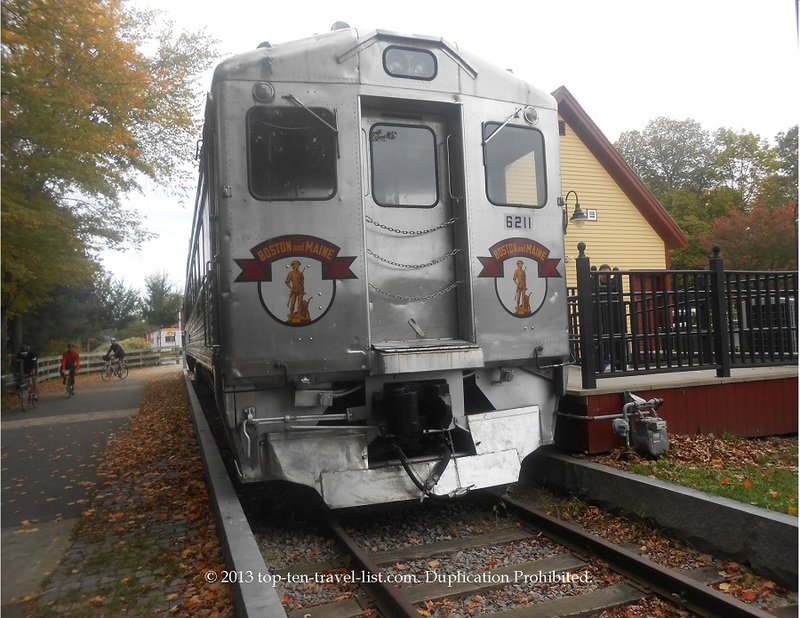 An old vintage Boston & Maine Railroad passenger car stands on display. Along the way, you will also pass through historic Arlington(home to the Uncle Sam Memorial Statue) and Lexington. Even though we did not take our ride during the peak of fall foliage, we were still able to experience amazing views. 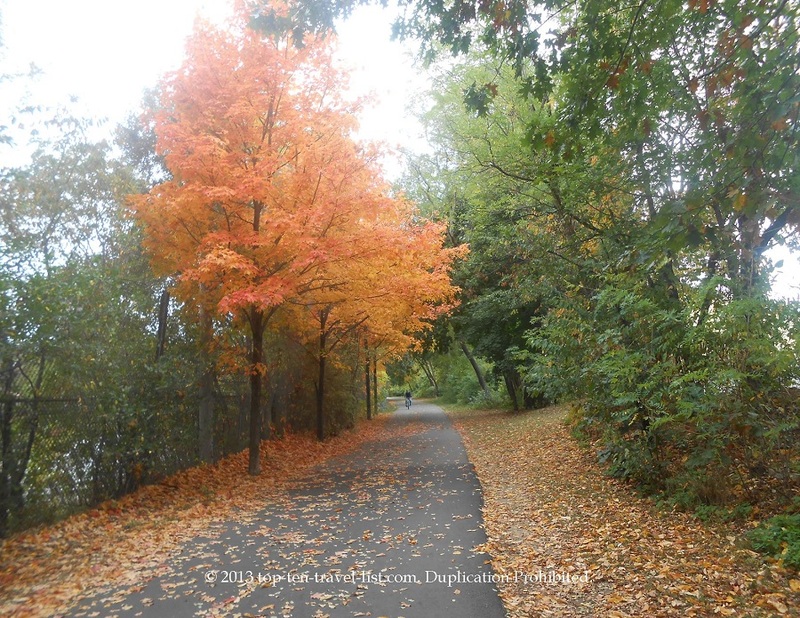 Beautiful orange, red, and yellow trees greeted us as we casually biked along the path. Scattered leaves, gently falling down, gave us that fall feeling. 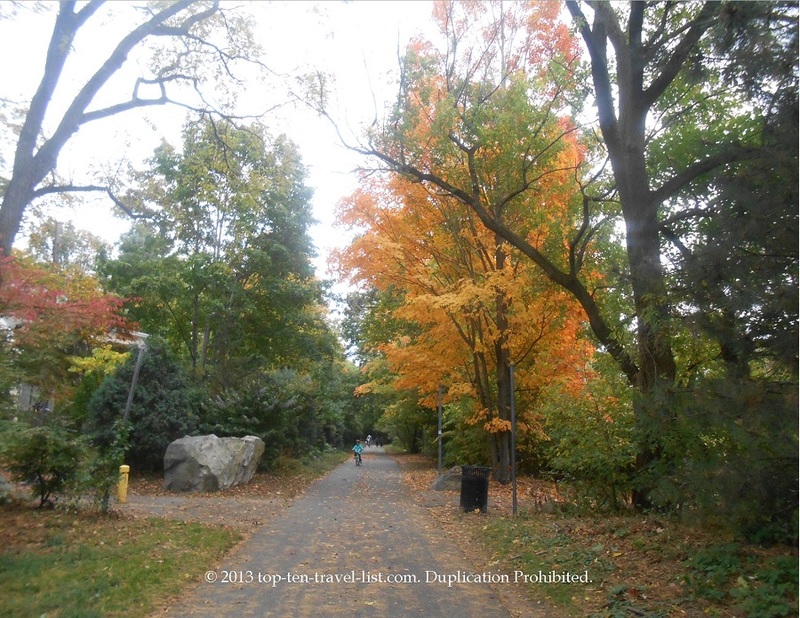 The path is wide enough to accommodate all types of exercisers, including joggers, walkers, and even rollerbladers. Mile markers are located along the path, although I prefer to use a GPS watch to track both our mileage and time. 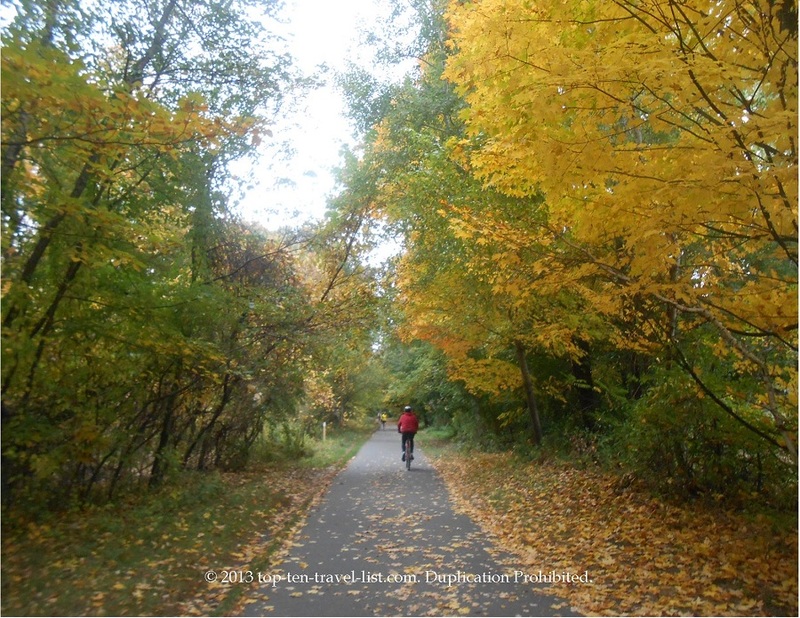 This leisurely ride made for an ideal fall day out. The path is almost completely flat, enabling you to enjoy the ride instead of struggling through an intense workout. Since we were taking a lot of photos, this worked out to our advantage. Normally, this path tends to get pretty crowded, however, Sunday morning was pretty isolated for the most part. If you need a healthy snack or caffeine boost to help you through your ride, you are in luck! Conveniently, a Trader Joe’s and Starbucks are located directly on the path around mile 6. We stopped for a quick granola bar and apple at Trader Joe’s, which also carries a nice selection of ready to eat salads and sandwiches for those looking for a bigger meal. Despite one small interruption (you will have to cross an intersection in Arlington),the ride is relatively smooth. Make sure to walk your bike across the sidewalks during this small section ($20 tickets are given out to those who do not follow the rules!). 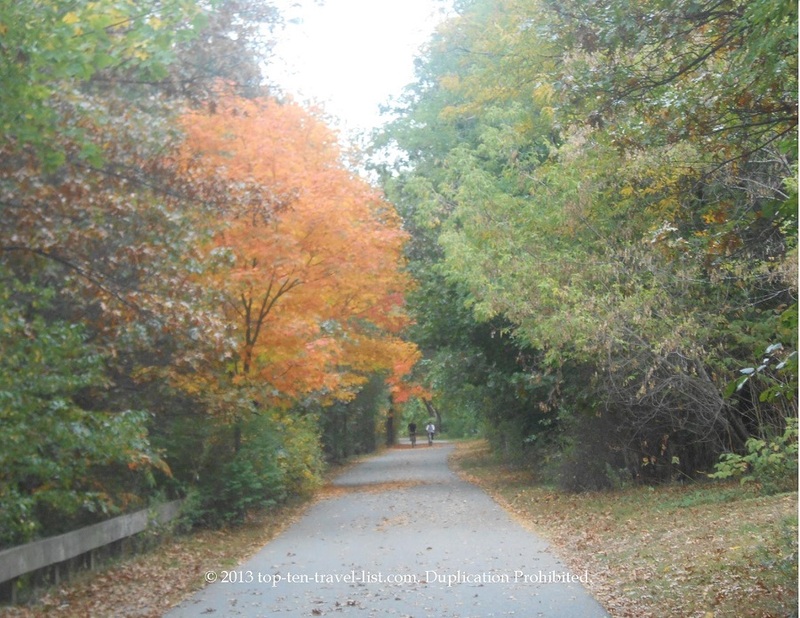 I definitely recommend everyone take a ride, walk, or jog along this beautiful path in Massachusetts. Fall is the best time to plan a visit as the scenic colors make it so much easier to keep going. This flat, fast path is easy enough for beginning cyclists. 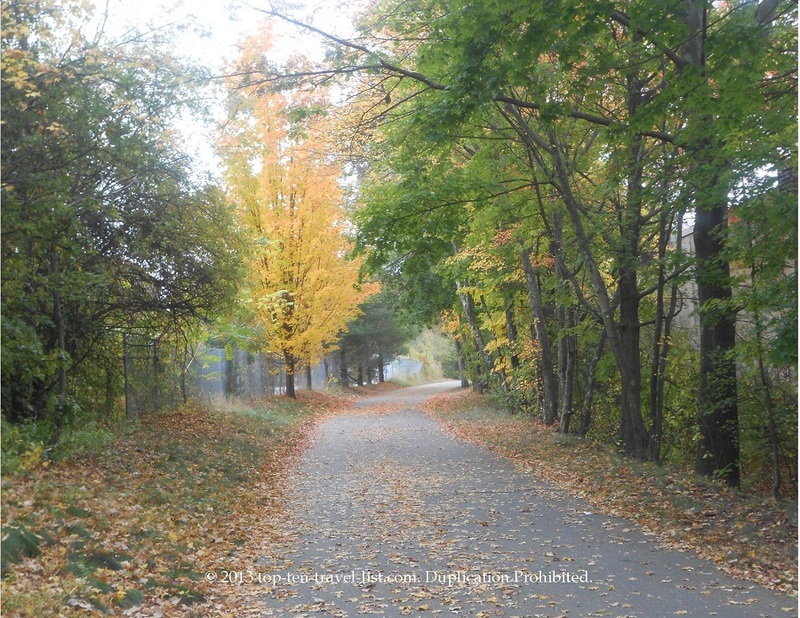 The Minuteman path has been included in the Rails-to-Trails Conservancy Hall of Fame for best rail trails in the country. Mike & I are hoping to get in another trip before the fall season is over. 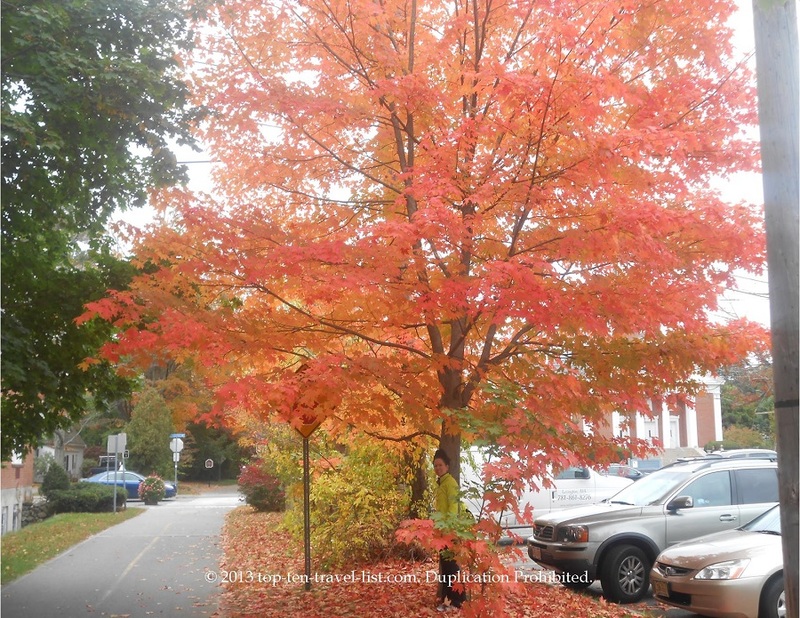 Who knows maybe next time we will get to experience even more fall foliage than the first time around! I will keep my fingers crossed. 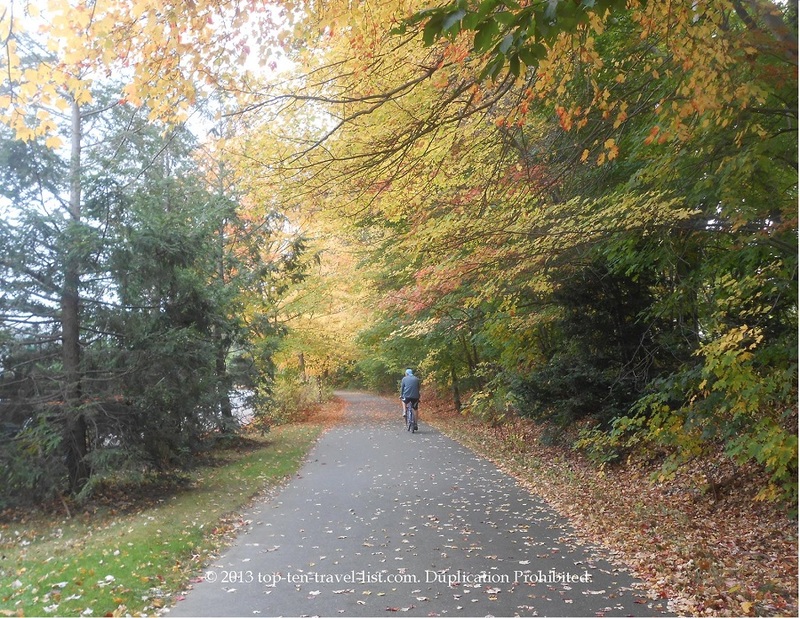 A fall trip to New England would not be complete without a stroll, ride, or run along this amazing path. Free parking and bathrooms are located at the starting point. Make sure to bring your own water bottle as the stops are few and far between.